Trying to get in a little more local sightseeing while the weather is still nice. Turku is small, and most travel sites about Finland focus only on Helsinki (or northern lights trips up north). Tim and I haven’t really hit the museums yet, but wandering around new neighborhoods and visiting churches has proven to be a really lovely way to spend the afternoon. And let me tell you that St. Michaels is one of my new favorites. It isn’t super old, it was completed in 1905 and the neighborhood around it is all busy streets and really unremarkable buildings. But approaching the church is pretty dramatic. The church rises up on a grassy hill, completely dominating its own block. The exterior is striking, with huge spires and giant pointy gothic revival arches and windows. Getting a good picture of the whole thing is surprisingly difficult, especially with the busy streets and construction surrounding the block. 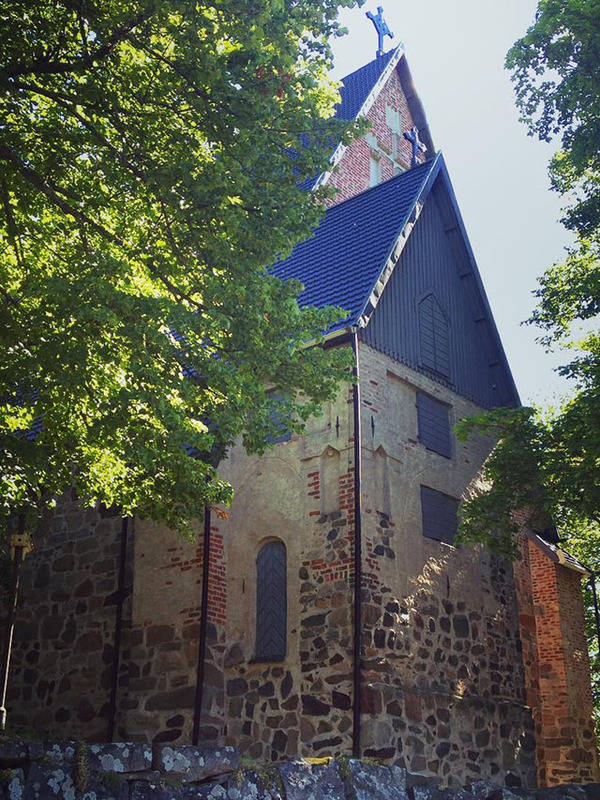 Posted in Churches, Finland, Turku Sites on August 26, 2015 by Sarah. When I was using Google maps to figure out my river running route, I was zooming around and saw something labeled kirkko, which is one of the few Finnish words I recognize. I did a quick search, thinking it was nothing special and realized that I found a church that was built in the 15th century. In North America, buildings dating from the late 18th century are considered old, so I am constantly impressed by the age of things in Europe. This would be a bit of a hike from the city center on foot, but surely there is a bus route in that direction. I have just pumped up the tires on the bike that was left to us by our landlords, and I knew that it would be easy to get to – just off my regular running trail, maybe a 15 minute ride. 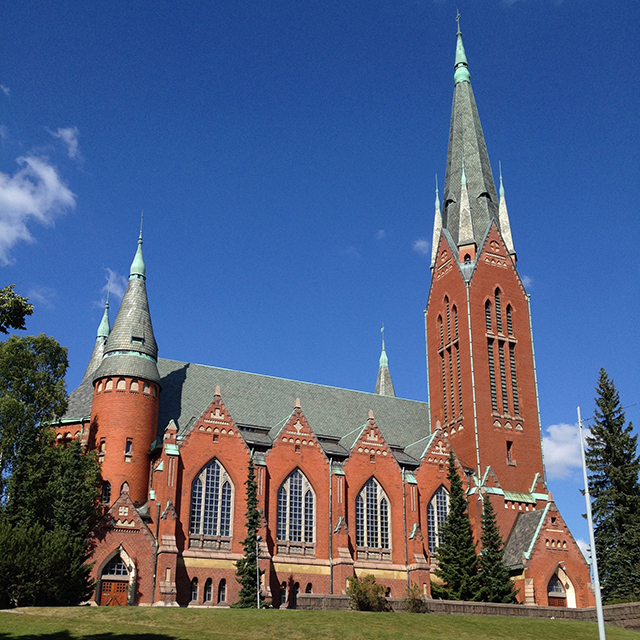 Posted in Churches, Finland, Turku Sites on August 19, 2015 by Sarah.